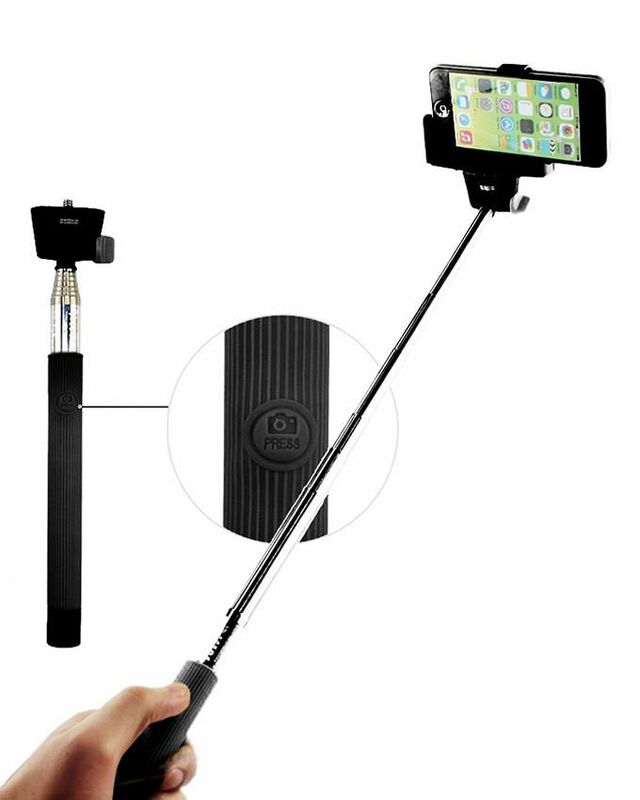 Wireless-selfie-stick Wireless Monopod Z07-5 Selfie Stick Bluetooth Shutter Buy Online Wireless Monopod Z07-5 in Karachi, Lahore, Islamabad All Across Pakistan with Our Best Price Buy Online with Free Cash On delivery | ClicknGet Product #: 102 4.4 stars, based on 89 reviews Regular price: Rs 899 Rs899 (Sale ends 5 May! ) Available from: Laptab Condition: New In stock! Order now! Hold on pressing the shutter button about 10 seconds to switch the control mode between iOS and Andriod. Two size adjustable phone adapters fits all phones width between 5.6-8.5 cm.